Creating an Orchid Lei is fun and super easy to do. 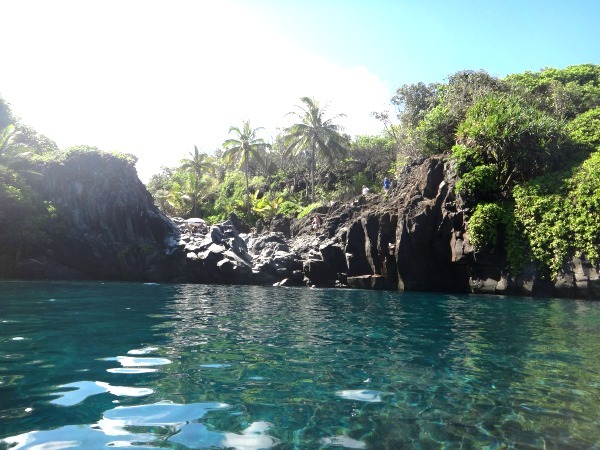 I will provided you with a step by step guide to make your own beautiful and exotic tropical lei. Get as creative as you want by adding different varieties of orchids to your flower lei. -Long Needle: Look for the longest embroidery needle you can find. This will make stringing the flowers easy. Professional lei makers use particular needles that are intended for lei making. These needles are 6-12 inches in length and contain a pointed end on one side and a hooked end on the other. 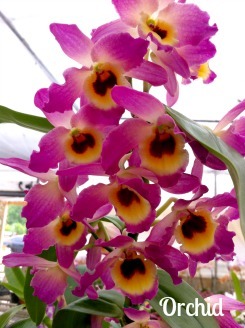 -Fresh Flowers: orchid…..I will be using a Dendrobium Orchid for this specific flower lei. 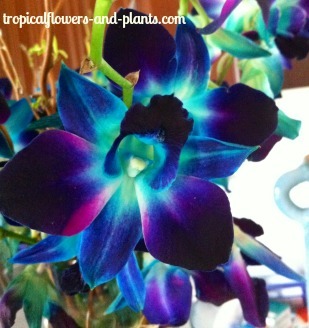 1) Collect Fresh Orchids: Making a 40 inch double strand Orchid flower lei you will need to collect around 100 flowers. 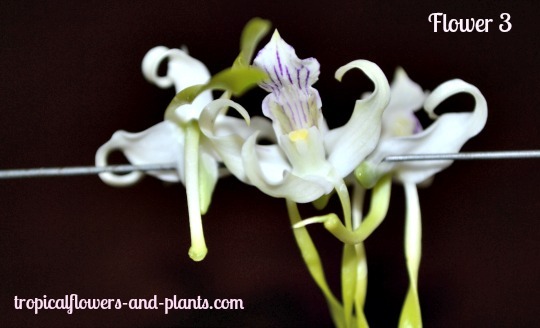 This particular orchid is of the smaller species of Dendrobiums. Using the larger ones will make the process easier. Note: You may want to make cut the string slightly larger due to the extra knots you will be adding at the end. 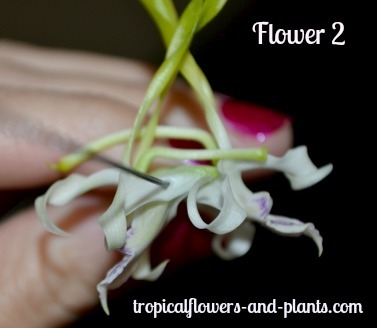 3) String the Flower: Pierce the needle through the side of the Orchid. Continue to string all your Orchids in this fashion. 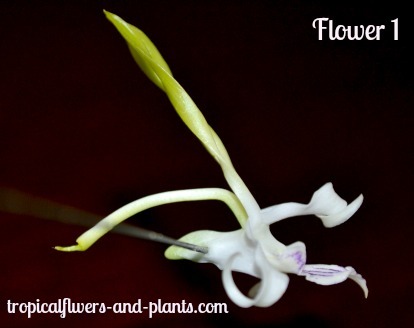 However, each time you pull the Orchids down your going to have the open end of the Orchid face the opposite way. Think of it as making the letter “t”. Top, bottom, side and side. Once you have a set complete pull the flowers down towards the knots. When you use the larger Orchids you will notice, that after you have a set of 4 orchids on the needle the faces will cover all the open areas. Note: Try not to manipulating the flower lei to much. The less fixing of the flowers the fresher the flowers will appear. Tip: Once the Orchid lei is complete you may want to add a ribbon of choice over the knots. This will conceal the knots without trying to rearrange the flowers. 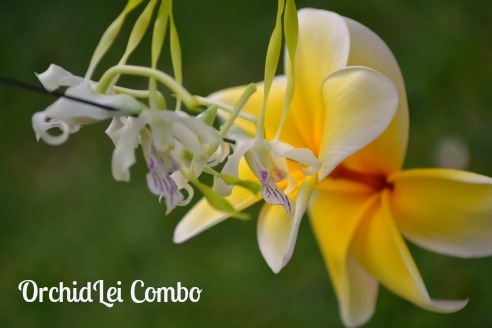 Place over your head and enjoy your beautiful Hawaiian Orchid Lei. If you are not going to wear your Orchid lei at that very moment follow the following procedure. Orchid Leis are absolutely beautiful! 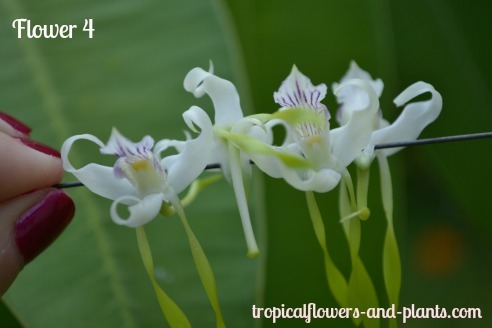 Want to find out more about growing these beautiful tropical flowers? 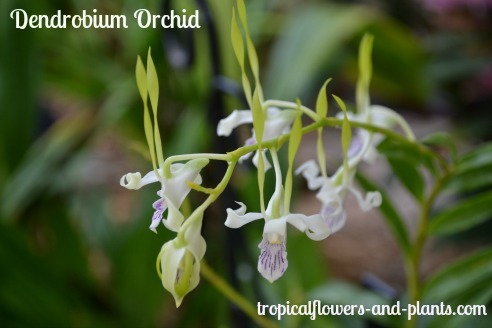 You will find out how easy it is and benefit from the amazing orchid blooms for weeks to months. If you don't have time to make your own.... Hawaiian Flower Lei can provide you with one!!! They have such a wide variety of options that you can pick from.